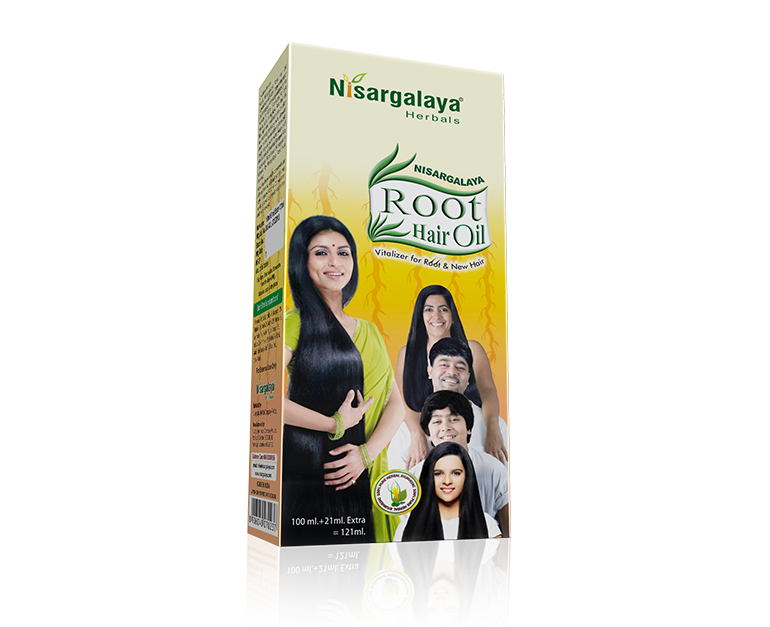 Nisargalaya Root Hair Oil an Ayurvedic proprietary medicine with proven herbs which helps in hair growth and enhances hair health. 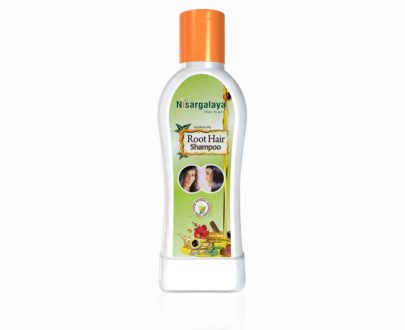 On application, Nisargalaya Root Hair Oil gives you thick and beautiful hair. 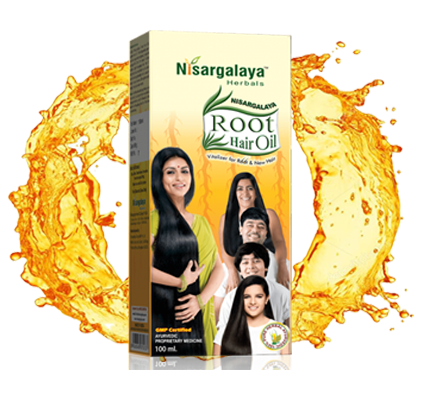 Nisargalaya Root Hair Oil an Ayurvedic proprietary medicine with proven herbs which helps in hair growth and enhances hair health. On application, Nisargalaya Root Herbal Hair Oil gives you thick and beautiful hair by strengthening the root of the hair and stops abnormal hair fall. 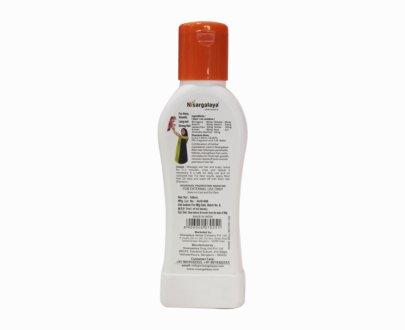 It also removes dandruff and helps with long and silky hair. 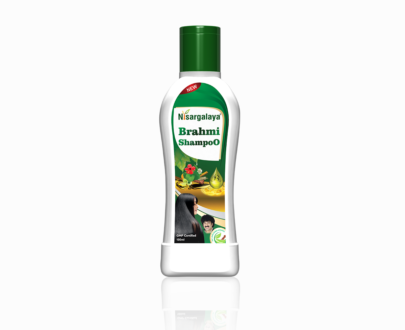 Stops Hair fall & removes dandruff. Helps with healthy hair growth. 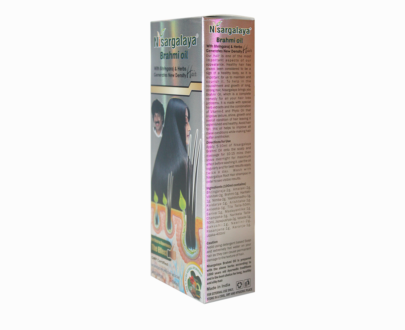 Bringaraja and Neelini: prevent premature graying of hair and provides jet back shiny hair. Vatada, Tila taila Narikela taila: When massaged on the scalp increased blood circulation, activates the hair follicles and enhance long, strong and thick hair generation and growth. 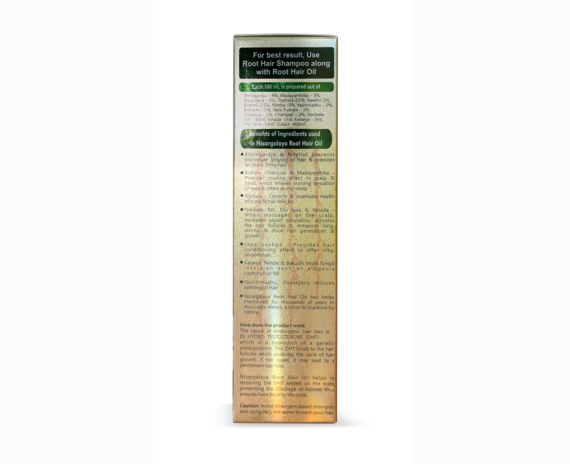 The prime cause for the hair loss is dust, malnutrition food, and hard water, mental stress and DHT a natural but powerful metabolite which restricts the supply of proteins, vitamins, and minerals to the hair follicles. 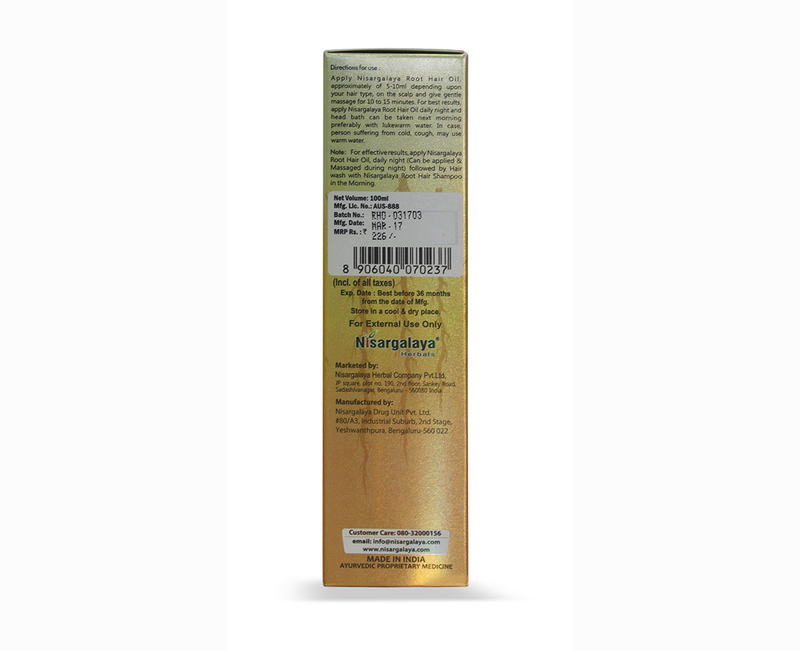 Nisargalaya Root Hair oil increases blood flow to the follicles helping hair to grow healthy, strong and shiny. Nisargalaya root hair oil really works well and helps to improve our hair growth. 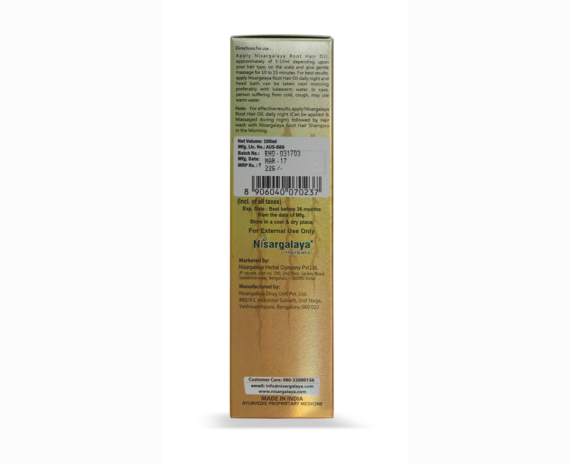 I can easily care my hairs by using this hair oil. 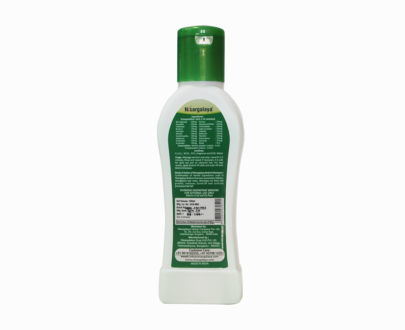 It makes my hair smooth, healthy and good looking. Really impressive effects and great results. 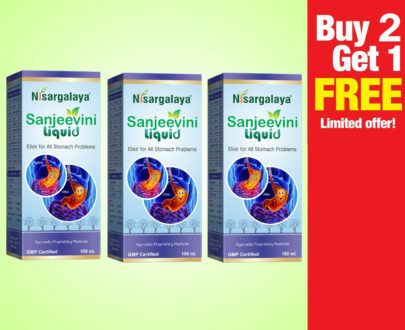 i am using this product from past few months and got very good results after regular usage. 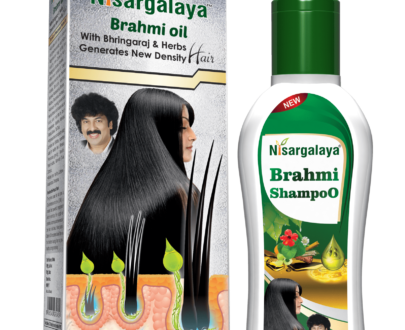 best herbal hair oil, using it from past 1 year. It really reduced my hair fall. 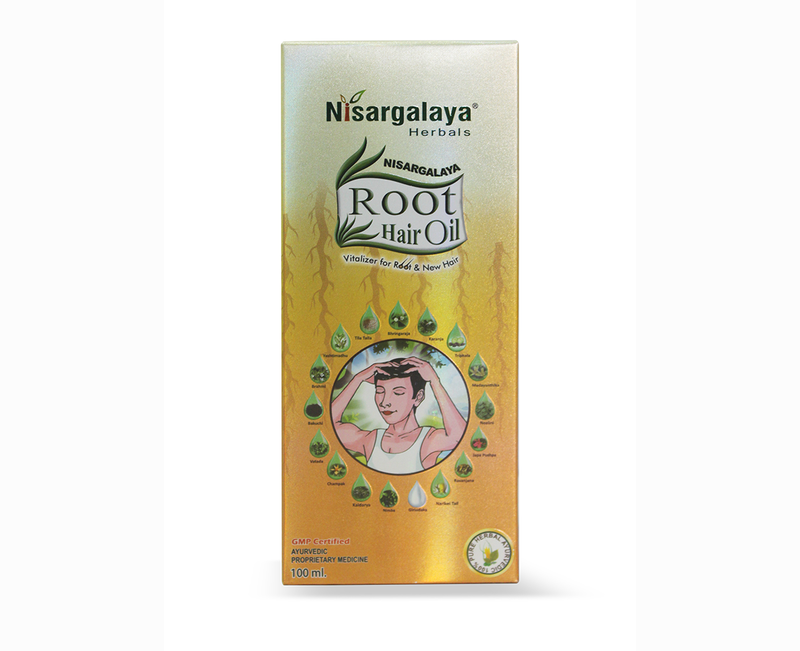 Nisargalaya root hair oil is one of the best herbal hair oil, it helps me to grow my hairs. 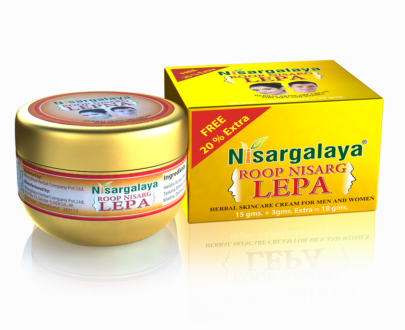 Nisargalaya Root Hair Oil is a very dependable hair oil for good control over hair fall and removal of dandruff..
As i am using this from past two year regularly i am finding good result and seen considerable improvement in hair growth and now my hair looks thick and also upon application a soothing effect is noticed on my eyes and a cure to Head ache.